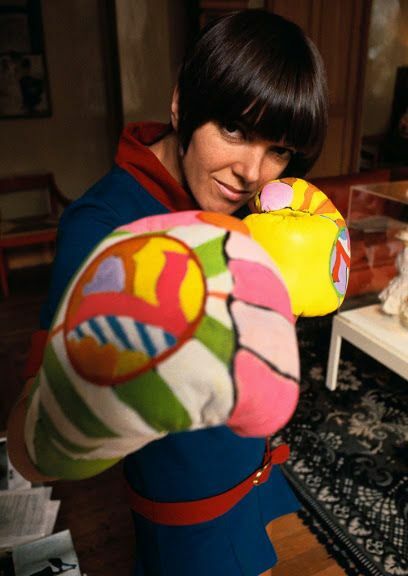 Mary Quant, a creative vision fuelled by youthful rebellion and a desire to be anything but ordinary. In a time following the Second World War, when women were wearing mass produced cookie-cutter designs, she broke the mould and gave women the power to express themselves in an unconventional way, through clothing. 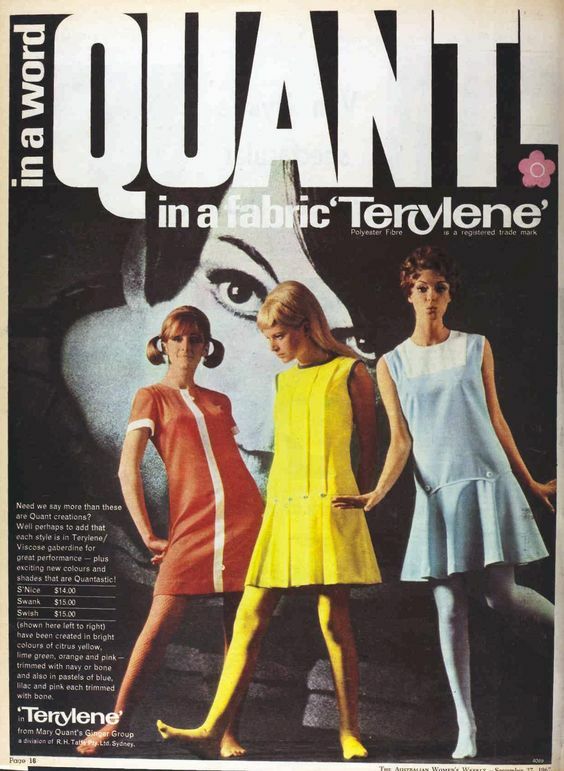 Mary Quant opened her shop, Bazaar, in London in 1955 known now to the world at the first place to buy a mini-skirt!! In an effort to supply women with clothing that made them feel liberated and confident, she created a fashion brand that included never before seen mini skirts, plastic collars, weatherproof shoes, neon tights and groundbreaking PVC pipe raincoats. For more images head to our Pinterest HERE! !